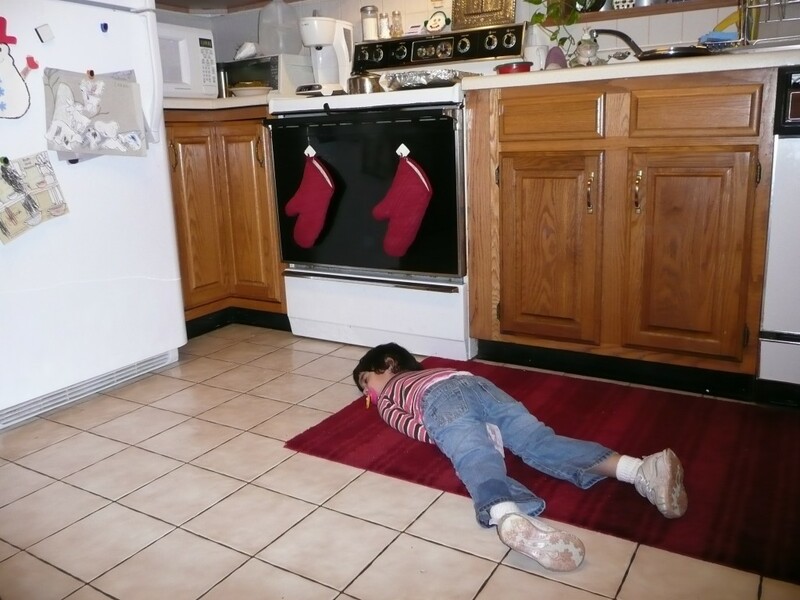 I found my little girl passed out on the kitchen floor yesterday after she came home from preschool.? And yes, moms, she still uses a pacifier!? Don’t judge me please! She’s sound asleep? That’s so cute! THIS IS HILARIOUS!!!!!! I wish my daughter would go to sleep like that. She’s only 2 though.. I’ll give her a few more years… — Hope you’re having fun at BlissDom! – Great Blog!